Even if you’re surfing the Internet on your new Android phone, from time to time, it’s a good idea to clear out the history and cache. Clearing out the cache can improve performance, and clearing your history and auto-complete information can contribute to improving security. Good news! The process is easy and quick, so let’s take a look at this Quick-Tip. 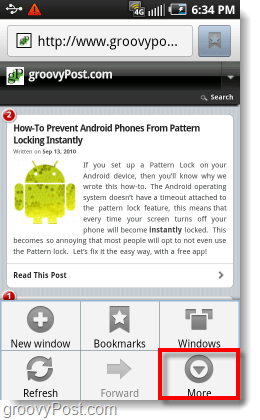 Step 1 – While in the Android browser, Tap the external menu button. Note: On my Samsung Galaxy S it was located at the bottom left corner of the screen, but this can vary depending on your device. The menu should now appear in the display. Tap the More option from that list. Step 2 – Tap the Settings option from the list. Step 3 – Scroll down the settings window until you get to Privacy settings. Step 4 – Click on everything in Step 3 above; a prompt will appear for each one. Tap OK to confirm the deletion each time. There are two additional options at the bottom of the settings page you can opt to do if you like. One is the Clear Passwords button that will just erase all passwords and account information that gets saved on your Android device. This action isn’t necessary, but it can keep people from accessing your online services if your phone falls into the wrong hands. 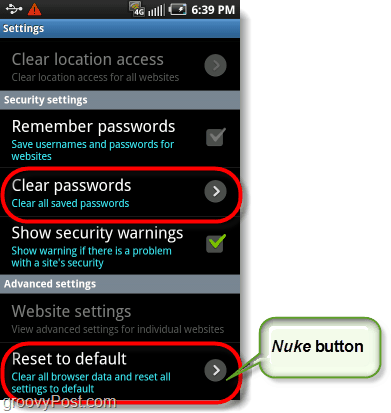 Another option is Reset to default aka the Nuke button. One Press on the nuke button and your Android browser will revert to factory settings, clearing out everything else at the same time. I would suggest this, but it is a pain to change the browser home page, so I never use this button. 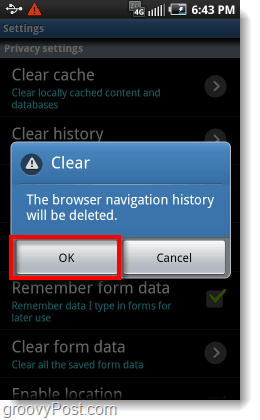 After following the above steps, your Android browser is now clean from all history and cache files. You can rest at ease while letting other people use the browser app on your device! They won’t be able to hijack your Facebook account or run into an embarrassing suggested Google search. You could do it even faster using something like Quick App Clean Cache. Its worth the payment. Sorry…there is major security bug in android browser. “clearing” the history does not stop someone using the BACK button. Your previously visited page will be loaded again. Lim is right – between this and the google talk app retaining ‘off the record’ chats after ending the chat, It’s a privacy nightmare. I couldn’t, in good conscience, recommend this platform to a business client – it’s too full of holes. This does not work. Nothing clears from my browser memory. of course the screenshots wont match your droind incredible!!! cant you read?? he says he is using samsung galaxy S..
and these steps works perfectly to delete browsing history!! he didnt say its to delete search history..
I’ve cleared everything… even used the “nuke” option. At one time this worked fine. I then made some template changes to my hosted web site and now can only see a portion of the site. Anyone who cares to take a look will see the entire web site on their PC. I’d be very curious if you see the entire site on your cell phone or only a portion of it as on my cell phone. I have been looking EVERYWHERE for how to do this. Thank you! Thank you! Thank you! If you’ve been deleting the history from your device, then you should be okay. What this person likely meant was that your connection can be monitored. For example. if you were viewing it over 3G your cellular carrier can access a log of every site ever visited. In the case of WiFi, the router (wireless broadcast device) usually retains logs of all the sites accessed through it. Depending on where you are connecting from there could be additional switches in place between the router and the internet service provider. Any number of these could be tracking your history. The only way to find out what is tracking you is to know the hardware setup. If you’re at home, its probably just your router broadcasting and then the connection goes directly to the internet service provider (comcast, verizon, timewarner, etc). Just login to the router and clear out the history and you’re set. But if you’re at work then it’s a whole other ballgame. At work it would depend on what type of job you have. Most companies monitor all network traffic going through their systems. If you work in any type of medium-large office this is the case. If you work in a smaller office it might not have the resources to set this up. An office that isn’t IT oriented probably doesn’t care about browser history that much, for example a doctors or dentist’s office might not track usage. There’s also an interesting factor to consider. Because you were browsing the internet on your phone, the company might not know who you are, especially if you work in a large office. The exception of course would be if the office provided the phone. But if its your personal phone that you brought from home and used to connect to company wifi, the company would probably have a hard time tracking you down, but it isn’t impossible. The internet service provider can also track your history, but usually won’t keep logs longer than a couple days. Lots of things can track you over WiFi. If you’re at home you can clear the history on your router. But you can’t clear the history from your Internet Service Provider. At work there isn’t much you can do other than perhaps bribing the network admin to clear your history, but if you connected using your personal phone you probably don’t have much to worry about as long aren’t continually looking at sites that aren’t safe for work. If you want to truly avoid being tracked, you’d have to purchase an anonymous VPN connection and use that. I found that my android (it’s an HTC Wildfire S) has a proxy settings area and when I go inside, it says enable wifi proxy with a little box to tick. I found that the box was unticked the whole time which means it wasn’t enabled. Does this help? I’ll explain my situation. I live in a place without wifi. But there is wifi at my parents house, so I sleep over sometimes just to download stuff onto my phone using wifi. And my brother told me once to be careful because things can be viewed through a proxy server. But I’m wondering.. if the box that I mentioned above was unticked… is it still possible? Also… I ALWAYS use incognito mode in Google Chrome on their computers and any other computers. Does this track my history? Or will it just be blank on the proxy server? My phone htc,its internet cant open, it alway show ´page can’t open’ check caches On google. What must i do for me to use internet in browsing, i ONLY uses opera mini, and that one alway open. 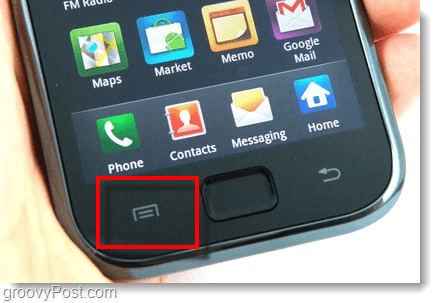 how to delete a call made on pocket surfer mobile phone? I guess that most people refer to be able to delete quick search keywords that appear when on a mobile phone you enter Incognito mode and when you start to search on top of the onscreen keyboard a list of words facilitates a search. Only that these words don’t go away when you do a history wipe. In fact to delete any of these you don’t need to mess with any privacy settings. Here’s how quick it’s done. Select and hold down fpr a couple seconds the one you wish went away and the option to remove it willooks appear.